"Because you're out of the grasp of civilization doesn't mean there aren't rules to follow!" 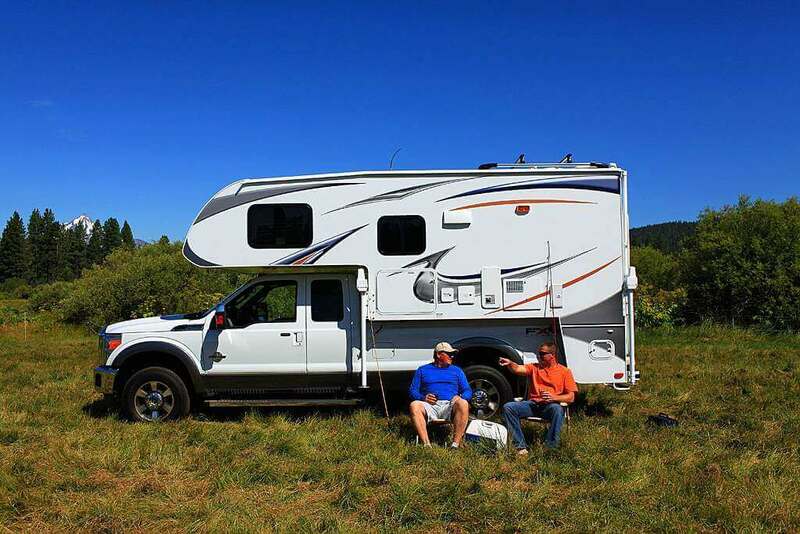 Boondocking is a wonderful way to enjoy your motor home. You pull up where you want to, far away from civilization and other hassles, set up your lawn chair, and just relax by a mountain stream. You've got everything you need - gas for cooking, a generator to power your motor home, plenty of drinking water... life is good. But just because you're out of the grasp of civilization doesn't mean there aren't rules to follow! Out in the wilds, you've only got yourself to rely on, so some steps have to be taken to keep yourself safe. Before you head out on your boondocking adventure, you might want to check out the area first. This means more than just looking at maps; make sure that the roads are okay for your rig, it's legal for you to park there, and there aren't any other surprises that might be waiting for you. Everybody wants to just get out there and explore, but turning down a rough road that gets too small for your rig, and having to turn a giant trailer around where there's no shoulder on the road is a lesson in trip planning that you don't want to go through. Talk to locals and check things out before you head out. At any campsite across the country, there are covered dumpsters and signs all over warning you of the laws you have to follow. Out in the wilds, you won't see any of that, but that doesn't mean you can leave a mess. In fact, it's even more dangerous to have a messy campsite out where there's no ranger to come and save your neck when an old black bear comes snooping around your cooler. Keep your campsite clean when boondocking, just like you would anywhere else. It's a nice thing to do for the site, but it's also a safety issue. This sounds like a no-brainer, but it's something to consider. Bears aren't cuddly, raccoons aren't cute, foxes don't want to be petted, and even deer can get nasty if you get too close. 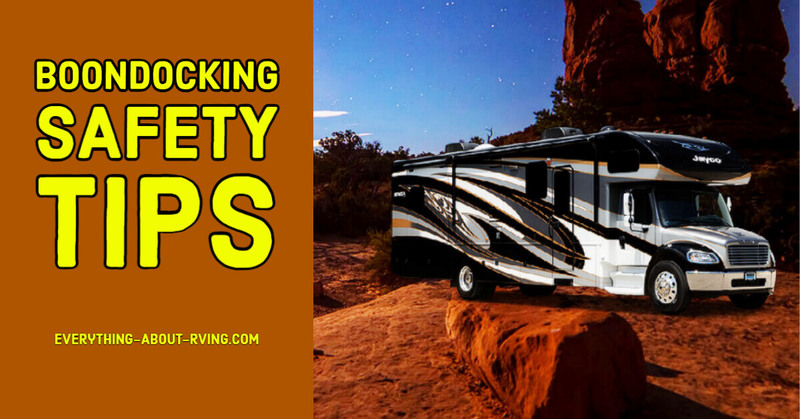 When you're boondocking, you will be way out in the wilderness sometimes where animals don't have as much fear of humans, so you should make sure you have a healthy fear of them. This is what's called "dry camping." It basically means camping without any services whatsoever. You have to plan and plan again. It is really essential that you have enough of everything you need. You don't want to run out of water somewhere in the desert, and you don't want to lose your electricity. Make sure you've got a good generator, a good gas range, and plenty of water with you wherever you go. It is best when boondocking to use prepared foods and disposable plates and silverware. This may seem wasteful, but for you it saves things like the water you need to wash dishes. Your resources will be limited, so it is better not to use them up cooking and cleaning. It is always good to be conservation minded, or else your boondocking trip might end up costing MORE than if you stayed at a pay campground. Okay, not a safety tip really, but just a bit of advice. Drive slowly wherever you're going and see everything there is to see. Don't plan much to do but sit around and smell the good, clean air. Let life pass you by for a while. Now, that's boondocking!